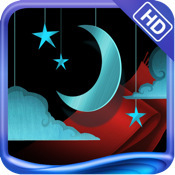 Climb a dark tower to save a mysterious girl in Drawn: The Painted Tower HD by Big Fish Games. What could be yet another run-of-the-mill point-and-click adventure game for iPad, Drawn HD excels in its incredible presentation and captivating premise. Gorgeous artwork and beautiful music make this game an easy recommendation, even at the relatively steep price point. 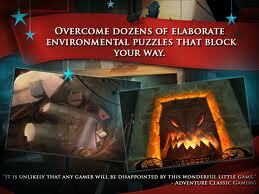 Fans of mystery and adventure games will find this to be one of the best of the bunch on iPad. In Drawn: The Painted Tower HD, you are tasked with rescuing a girl named Iris who is being held captive atop a strange tower. The twist is that in order to achieve this goal, you must go room-by-room, entering a series of paintings and solving the puzzles contained within. Of course, as luck would have it, many of the paintings are ripped, have missing pieces, or are in other ways obscured, requiring you to use your noggin in order to restore them. Many of the standard adventure tropes are present here, and yes, many are just as obtuse as those found in other games of this ilk. You know the drill: find Object A, place it in Object B, which will then reveal Object C that will unlock the key to receiving Object D, and so on. Fortunately, hints are plentiful as the tower’s petrified butler is always on hand to give you a limited number of hints per room, and a list of open objectives often gives subtle clues leading you forward. Now it’s true that from pure gameplay standpoint, Drawn HD doesn’t really break any new ground. 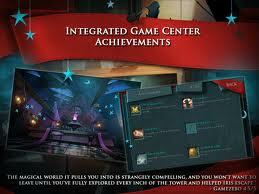 As mentioned, fans of this genre will feel right at home with the puzzles and brain-twisters that come their way. However, adventure fans also know that with these types of games, atmosphere and presentation can make or break the experience. Fortunately, Drawn HD has that in spades. The mood is set not only by the architecture and decor of the tower, but also in the notes left by Iris found strewn throughout, and the haunting soundtrack that accompanies the game. The combination of all these factors makes Drawn HD an engrossing experience that you’ll want to curl up with like you would a good mystery novel. 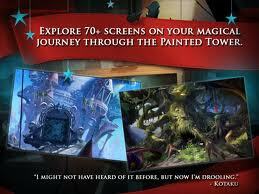 Bottom Line: Drawn: The Painted Tower HD takes advantage of all the strengths that the iPad possesses as a gaming platform. 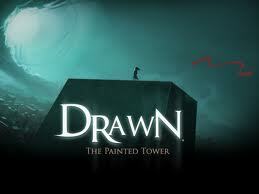 Beautiful, haunting, and captivating, it’s one of the best adventure games available on this particular platform. Drawn HD is compatible with iPad. Requires iOS 3.2 or later.